Maximize Your Social Security Income for Your Retirement! 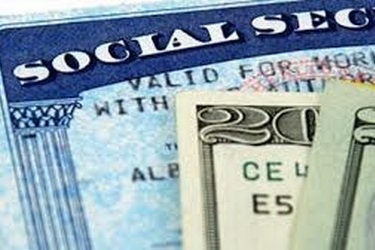 We give you a free Professional Analysis in order to show you what your Maximum Social Security Income Strategy can be! 1) You can't outlive it! 2) You receive cost-of-living increases to it! 3) You can receive spousal benefits! 4) You don't have to be an expert to take advantage of it! FILL IN THE FORM BELOW TO RECEIVE YOUR FREE "SOCIAL SECURITY MAXIMIZATION ANALYSIS!" Your ideal Social Security claiming strategy can enhance your retirement income over time. Given news about certain retirement risks, such as longer lifespans and rising healthcare costs, these strategies may not only be prudent, they may be essential! 1st Financial Investments, Inc. is not endorsed by or affiliated with the Social Security Administration or any Governmental Agency and does not offer Legal or Tax advice. You should consult with an attorney or tax professional for legal and tax advisory services.